Laundry appliances should clean and sanitize your clothes and bedding without shortening their life. Don’t subject your expensive clothes and bedding to inexpensive laundry thus shortening their life span. Let us help you select the laundry that will fit your budget and save you money over time. There are several important factors to consider when looking for your new laundry set such as: performance, efficiency, capacity, noise and washing style. Washing machines are available in 2 styles: Top Load or Front Load. Most top load washers clean with an agitator on a vertical axis turning the clothes back & forth to clean. However, some newer top load washers have eliminated the agitator and use an impeller to clean. These units can also rival front load washers for efficiency. Front loaders use a drum on a horizontal axis and turn the clothes from the bottom of the drum upwards creating a tumbling wash action. Front load washers have become popular due to their superior cleaning ability, efficiency and gentleness on clothing. Efficiency – use less water, energy & detergent. 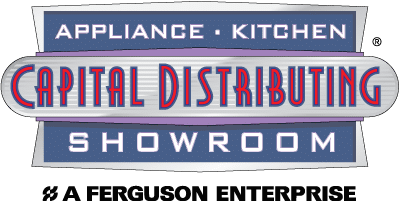 While at Capital, be sure to check out our other specialty Laundry Room products and let us help you make your dream Laundry Room one that you will enjoy for years to come! Rotary Irons are the smart way to iron clothes and linens quickly and efficiently. Specialty Washers and Dryers: We offer specialty laundry for equestrian, fire house, bed and breakfast and larger washing applications. Vacuums: We are a vacuum dealer for Miele vacuums.